This is Part II of an article about why Mayor Michael Bloomberg’s contributions to charities from his ever-increasing wealth is bad news. The first part of this article (Click here) examines how Bloomberg uses “charitable” donations in an abusive conflict-of-interest way. This Part II of the article was necessary to address at length the important related concerns about high-level conflicts of interest in the Bloomberg administration. How separate are the worlds of big mega-deal city administration-assisted real estate development and the Bloomberg private-wealth businesses that are growing so fast? Perhaps the first and best clue would be how responsibilities divide up when Bloomberg puts his senior confidants in charge of these worlds. It turns out that at the very top of the Bloomberg administration there is a troubling lack of separation and all sorts of problems with conflicts. Let’s talk about two of Bloomberg’s top administration officials, two deputy mayors with key city real estate development responsibilities, Daniel Doctoroff and Patricia Harris. The latter, Ms. Harris is also key when it comes to Bloomberg’s charities, both dispensing them and collecting charitable donations from New York developers who are receiving city largess. Of course, Bloomberg’s own conflicts deserve further discussion too. The person who was for most of Bloomberg’s administration the deputy director of development, charged with overall responsibility for the city’s mega-deal administration-assisted real estate development was Daniel Doctoroff. 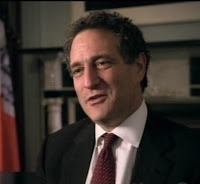 Daniel Doctoroff left that position relatively recently (the last day of December 2007) and when he left he became the President of Bloomberg L.P., the mayor's media corporation. That in itself may indicate insufficient separation, but Doctoroff wanted to keep working on the major city-assisted deals even when he was President of Bloomberg L.P..
wanted to continue on as chairman of the Hudson Yards Development Corporation—the agency that is involved in rezoning the West Side and finding a developer for the rail yards—and remain involved in the Moynihan Station proposal, Hunters Point South and congestion pricing. will be negotiating with Vornado for additional space at the building that houses Bloomberg LP's headquarters on Lexington Ave., since Vornado owns that building. The Conflicts of Interest Board gave its blessing on the condition that Doctoroff have no direct dealings with Vornado for a year after he leaves his position as Deputy Mayor. The five member Conflicts of Interest Board which considered that “extraordinary circumstances” presented themselves is made up of mayoral appointees. The board’s decision underscores a reality that has often been noted in the city’s development community: Mr. Doctoroff may have left City Hall, but he remains a participant in — and has a big influence over — what is going to be built. It is not unprecedented for former city officials to be involved with public projects, but in the case of Mr. Doctoroff, the city’s longest-serving deputy mayor for economic development, the list is so long and varied that city officials and even some who serve on boards with him have expressed confusion about his roles. In response, City Hall circulated a memo in January advising city employees how to interact with him. For a year after leaving public service, former officials are strictly prohibited from appearing before any city agency within the branch of government where they served; the ban is even longer if the subject is one in which the official was directly involved. The prohibitions do not apply, however, if the official is appearing on behalf of the mayor or another government agency. Some questions about Mr. Doctoroff’s future role remain unanswered. The board’s 10-page opinion did not address his participation in development decisions about the West Side railyards, known as Hudson Yards, although the city had asked for a ruling on the matter. On Wednesday, the transportation authority is expected to grant development rights over the railyards, a 26-acre slice of Manhattan overlooking the Hudson River, to Tishman Speyer, one of Manhattan’s largest real estate operators. Mr. Doctoroff met during the week of March 10 with the teams of developers competing for the billion-dollar project, according to members of the teams, who spoke on the condition of anonymity because they did not want to offend Mr. Doctoroff. Even after he left later on a business trip to Asia, Mr. Doctoroff remained in constant contact with the selection committee throughout the deliberations. . . . . Mr. Doctoroff dismissed the notion that there might be a conflict of interest between his continuing work for the city and his new role at Bloomberg. At the time of that Feb. 22 interview, Mr. Doctoroff also insisted that his involvement with the city had been limited since leaving office. . . . That did not include the recent railyard negotiations. The opinion issued on Tuesday limits the role he can play in matters involving Vornado Realty, which owns the building housing the Bloomberg L.P. headquarters. The company is negotiating with Vornado for additional space. The board said that given Mr. Doctoroff’s knowledge, it was best for the city for Mr. Doctoroff to continue his involvement with the Moynihan Station plans. Vornado is a developer of the station project and was one of the companies vying to develop the railyards with whom Mr. Doctoroff met earlier this month. On March 12, Mr. Doctoroff met with the Vornado chairman, Steven Roth, and the M.T.A. selection panel, and last Friday with David Greenbaum, a top Vornado executive. The opinion advises Mr. Doctoroff to recuse himself from any discussions between Bloomberg L.P. and Vornado for one year from the date of the conclusion of the Moynihan Station negotiations, and from all dealings involving Vornado or Bloomberg L.P. in any of the other projects addressed in the ruling. Gene Russianoff, a senior lawyer for the New York Public Interest Research Group, said he agreed with much of the ruling but was troubled by the absence of the railyards and the station exception. “I can see recusing himself from landlord-tenant matters with Vornado, but is Vornado going to say, ‘O.K., we’re going to jack up the rent when we’re trying to make some kind of deal over Moynihan,’ ” Mr. Russianoff said. We have set forth the above at substantial length because it is so valuable; it is worth reading the entire Times article carefully to appreciate how much more confusion of roles is involved in the Doctoroff situation. As good as it is, the above Times article did not mention yet another level of complication. 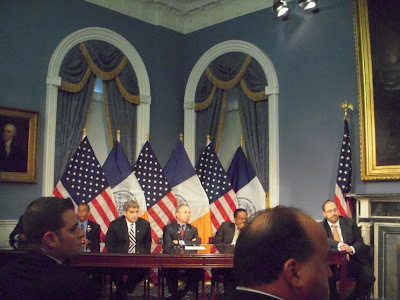 Before Doctoroff officially left City Hall, he was responsible for matters from which his boss, Mr. Bloomberg was supposed to recuse himself because of conflicts of interest respecting Bloomberg, L.P. Doctoroff’s being at Bloomberg L.P. invokes those same conflicts and the need for Doctoroff also to recuse himself personally. (The Roles Blur for the Mayor and the Mogul, By Serge F. Kovaleski and Ray Rivera, December 8, 2007.) Who then is anyone reporting to and who in the chain of command doesn’t have a conflict of interest? That, in a moment, will bring us to Deputy Mayor Patricia Harris. When the city began negotiating with Verizon on its bid for a cable franchise, Mr. Bloomberg, whose company, Bloomberg L.P., owns a business news channel, stepped aside and put Mr. Doctoroff in charge of the talks. When Merrill Lynch, which owns 20 percent of Bloomberg L.P., was considering leaving Lower Manhattan and moving to Midtown, Mr. Bloomberg limited his involvement in negotiations. He let Mr. Doctoroff handle them. The Bloomberg administration said these steps were intended to protect the mayor from any appearance of a conflict of interest. But other people were skeptical of the arrangement, given the close relationship between Mr. Doctoroff and Mr. Bloomberg. . . .said that the mayor would recuse himself “from all city matters involving Merrill.” But when the drama erupted over Merrill Lynch’s possible relocation from Lower Manhattan, the mayor picked up the phone and called E. Stanley O’Neal, who was then the chief executive, “one or two” times, according to Jason Wright, the Merrill spokesman.
. . . Mr. Bloomberg does not recall any such conversation. But he said that, while Mr. Doctoroff was put in charge of the negotiations with Merrill, it would have been “entirely appropriate” for the mayor to offer his administration’s assistance. Mr. Loeser said Mr. Doctoroff will now recuse himself, as well, from any dealings involving Merrill or cable television. In another matter involving Merrill, the mayor has signed off on $1.43 billion in municipal bond deals in which the investment firm was the lead underwriter and several more in which the firm was part of the underwriting team, according to city records.
. . . the mayor’s office has never sought a waiver from the conflicts board to allow for an exception to its 2002 opinion. Councilman Avella has raised another issue involving recusal: this one about the city’s continuing negotiations with Verizon as it seeks to break into the lucrative cable television market here. Bloomberg Television, which reaches more than 200 million households worldwide, is carried by major cable operators in the city. And the mayor has not been shy about voicing his views on cable industry issues, saying, for example, that cable rates should be able to rise without government interference. Bloomberg needs to recuse himself. Doctoroff now needs to recuse himself. Who does that leave in charge who is not recusing themselves? We are now ready to talk about First Deputy Mayor Patricia Harris, currently Bloomberg’s number one in City Hall. “He’s continuing to be more generous and give to more organizations, but the focus has remained consistent,” said Patricia E. Harris, a deputy mayor who helps oversee his philanthropy. She added that his main areas of focus have been medical research, public health and the arts. Very important to the real estates industry, First Deputy Mayor Harris also oversees the city’s Landmarks Preservation Commission, as we noted in Times Coverage of Landmarks Preservation Commission: The Pieces Needing to Fall Into Place (Tuesday, December 9, 2008) and is likely to have had a hand in promoting the Atlantic Yards project when she and Mayor Bloomberg met with the Atlantic Yards developer Bruce Ratner. That meeting bore evidence of a quid pro quo exchange of contributions to Bloomberg charities in exchange for project approvals. For more on this, see: Are the Atlantic Yards Land Grab and City Official Fraud Being Used to Finance Bloomberg’s Bid for Billionaire Term Limit Exceptionalism? (Wednesday, October 22, 2008). The city charter generally bans bosses and subordinates from entering into business relationships with each other or doing private work on city time unless the Conflicts of Interest Board agrees it is in New York's best interest. As the mayor tries to figure out what his third career is going to be - politics, philanthropy, something else - the line between his public and private lives seems to be growing increasingly muddy. He insisted this summer he had no involvement in his media company and then had to backtrack a few days later, admitting he talks to top execs frequently. In the article a Bloomberg spokesperson referred to Harris’ Bloomberg, L.P. work as a “minimal amount” when just two months earlier the Times was quoting Ms. Harris and writing about her overseeing what had been $165.3 million to 1,077 groups the previous year and Bloomberg was going to be “more generous” (to quote Ms. Harris) to the tune of $205 million in the year when the question came up. 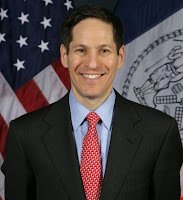 The article reported that the Bloomberg administration also had Health Commissioner Thomas Frieden working with the Bloomberg L.P. foundation (which involved travel to China) and because he had obtained permission from the Conflicts of Interests Board, the administration suggested that Ms. Harris similarly doing so was unnecessary. Because we at Noticing New York know and appreciate and care more about the possibilities for conflicts in the real estate industry we won’t comment to compare how similar the Health Commissioner’s possibilities for conflict were. 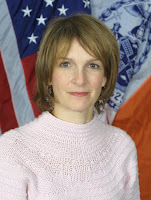 Bloomberg Entrusts Deputy Mayor Harris. 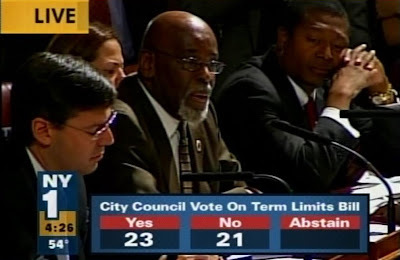 . .
How involved in major city-assisted real estate projects is Ms. Harris and how sensitive should she have been to possible conflicts of interest with respect to them? It was Deputy Mayor Harris who submitted the request for a conflicts of interest waiver for Daniel Doctoroff to the Conflicts of Interest Board. officially in charge of New York City whenever Mr. Bloomberg leaves town. But perhaps more significantly, she will see to it that the mayor's vision for the city is carried out in his second and final term as he seizes on the momentum from his huge electoral victory. Ms. Harris is by far the most powerful person in the Bloomberg administration, a role rooted in her past at Bloomberg LP, where she served as director of his philanthropy for several years. They have a very secure relationship. "The mayor trusts her implicitly,"
Last year, when Ms. Harris became aware that some people in the arts world who had benefitted from Mr. Bloomberg's philanthropy had given political donations to one of his early campaign rivals, City Council Speaker Gifford Miller, she called them and demanded to know what they were thinking. will continue to run his philanthropy once he leaves office. That endows her with formidable power beyond his term, . . The mayor is perhaps right: Whether the deputy mayor handles his “philanthropies” directly or indirectly does not affect the potential conflict. The conflict presents itself either way. Ironically, the mayor’s statement was in an article that reported that the Conflicts of Interest Board was issuing a new 2007 opinion imposing specific theoretical restrictions on the mayor himself vis-a-vis his relationship with his private foundation. Given Mr. Bloomberg’s use of Ms. Harris to oversee his philanthropy, one would expect that she might easily be violating those same proscriptions applicable to Mr. Bloomberg without guidance. It’s worse than that in several ways. The new Conflicts of Interest Board requirements were new because they were requirements that were being relaxed from what was previously required. At the same time, long into Bloomberg’s second term, it was being reported that Bloomberg had not complied with requirements to avoid conflicts that the Conflicts of Interest Board imposed upon him at the beginning of his first term. This month, however, The New York Times reported that the mayor talked regularly to senior officials at the company about topics ranging from new data terminal sales to expansion into new markets and the general financial performance of the company. He even recruited the company’s spokeswoman. And despite the 2002 agreement, which required him to recuse himself from any city business involving Merrill Lynch, the biggest investor in his company, the article said the mayor had taken numerous official actions that involved Merrill Lynch. Administration officials insist that Mr. Bloomberg has not violated the 2002 opinion. allow him to move his money into more aggressive investments, including hedge funds and publicly traded stocks. The ruling by the five-member panel modified a key element of an opinion it issued in 2002 that urged the billionaire mayor to sell all of his stocks, along with his interests in a hedge fund, because the holdings violated the city charter. “The proposed arrangement will not conflict with the proper discharge of his official duties, and it avoids the appearance of conflict to the public,” the board said. One should always beware when something is offered for nothing. Once upon a time, the idea was that we were going to have a mayor so wealthy that he was not interested in the acquisition of further wealth, a mayor so wealthy that he was motivated by pure generosity. 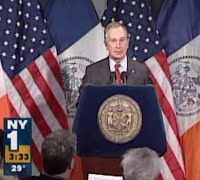 Bloomberg was supposed to represent “a new paradigm,” “a businessman and a technophile, a man focused on communication and transparency,” a “technocrat-mayor” who didn’t personalize conflict. We were even relieved of contributing to the political campaign he willingly paid for himself! (See: The New Paradigm, Has Bloomberg changed the mayoral model forever? By Edward-Isaac Dovere.) But that was always just public relations preamble to the facts. The facts now deserve another look. The Conflicts of Interest Board’s 2007 opinion is specifically about accommodating the mayor in the continuing acquisition of more wealth. Results speaking for themselves, that is something he had already done very well throughout his administration. Rather than generously giving money away, Bloomberg “donates” money to acquire more personal power and perhaps to acquire still more money as well. It even turns out he is driving up public expenditures on mayoral campaigns! Whereas once upon a time we were told we were going to have a mayor who was so angelically generous that we didn’t have to worry about anything, we now find that we have a mayor so financially omnipresent and capable of corrupting charity that we need to worry about everything. It is almost like a real life version of the jokey chestnut episode of the Twilight Zone, To Serve Man. Given Bloomberg’s omnipresence, getting far enough away from him to avoid conflicts of interest is a daunting proposition. It is increasingly hard since Bloomberg has gone in a decade from just one of the wealthy (# 56 on Forbes list in 1998, # 42 in 2001) to the wealthiest New Yorker (# 8 richest American on Forbes list for 2008). The opinion is the latest ruling to try to address ethical questions created by Mr. Bloomberg’s public and private roles. The mayor not only runs a city that is one of the world’s financial capitals and retains a majority ownership of Bloomberg L.P., a media and financial information giant whose customers include many of the city’s biggest banking firms. He is also a philanthropist whose private giving often involves nonprofit agencies active in civic and neighborhood affairs. Increase of Bloomberg Wealth at Taxpayer Expense? Releasing details of Mr. Bloomberg's tax returns could reveal too much to his company's corporate rivals, said his director of communications, William T. Cunningham. “Corporate rivals?” Apparently it is acceptable to acknowledge that Bloomberg IS competing for wealth when it is convenient to withhold information about what that entails, even if that may be inconsistent with the original public relations spiel that Bloomberg was a man who was beyond that self-centered phase of his life. Only the mayor knows whether his stock market loss was close to $1 million or far more because the mayor disclosed only three numbers yesterday in making available for review heavily edited portions of his income tax returns. The two taxes the mayor escaped were Social Security and Medicare taxes because his only salary is a dollar a year from the city. Those two taxes do not apply to investment income. While the mayor's 2001 tax return was a rich sea of G's, this year a number of E's, C's, A's and a few blanks -- meaning less than $1,000 -- showed up on the heavily edited documents that reporters were allowed to examine at Geller & Company accountants in Manhattan. Asked if the mayor would sign legislation that added new categories, say for laddered categories of amounts up to $500 million, Mr. Cunningham said he did not want to discuss policy issues. It may readily be envisioned that the Conflicts of Interest Board required the sale of Bloomberg’ individual stocks because of the possibility that he could benefit from special information and relationships. The concern is not necessarily insider trading, per se, which would be illegal, but akin to it. In that regard, what do we know about what kind of stock investor Bloomberg actually is? The limited documentation showed that the mayor's competing teams of investment managers sought quick gains, often investing heavily in hot stocks, and that the mayor was not a buy-and-hold investor. With the relaxed 2007 Conflicts of Interest Board ruling this kind of stock investment (and hedge fund) activity can resume. But are the stocks in which a wealthy Bloomberg invests the main concern? Bloomberg’s business is founded sale of the Bloomberg terminals to the financial community. That is core to the question of where he takes in most of his profit. For `balance’ the article fusses over the “reputational capital,” that might be created by the “the commanding presence that the Bloomberg terminals will have at City Hall” . . . “an asset that has value even if it does not show up on a balance sheet” according to "Kevin T. Jackson, an associate professor of business ethics at Fordham University." Putting the Object of Desire on the Public Stage: Ominous Message? Sales of Bloomberg terminals were shooting up in the years just before running for mayor when Bloomberg’s billionaire fortune essentially doubled, according to data available for 1997, 1998 and 1999. (See: The Company He Keeps (for Now), by Timothy L. O'brien, March 20, 2005.) But increased sales do not correspond in arithmetic proportion to increases in profit. The industry is somewhat of a diminishing marginal cost business; after a point, most costs have been paid for, so sale of each additional terminal beyond that point is essentially gravy. Comfortable With the Bloomberg Terminal? The donations are not an attempt to further market the Bloomberg name, his aides said. ''It was just the fastest way to get the office set up with computers,'' said William T. Cunningham, the mayor's communications director, who added that the system is the one that Mr. Bloomberg is most comfortable with. Skepticism? Bloomberg, Wall Street City’s Financial Leadership? We started this Part II asking whether we should feel confident of sufficient separation between the worlds of big mega-deal city administration-assisted real estate development and the Bloomberg private wealth businesses that are growing so fast. The answer is no, given the troubling conflicts we see at the highest level of the Bloomberg’s administration and business involving Daniel Doctoroff, Patricia Harris and Michael Bloomberg himself. That now brings us back to where we started with Part I of this article, that more “charitable giving” by Bloomberg is bad news. The worse news is that there is no light at the end of the tunnel. Don’t expect the flow of Bloombergian “philanthropic” money to abate. Even though more than a billion dollars have been distributed since Bloomberg became mayor, we may have seen nothing compared to what is yet to come. Bloomberg has a hands-on attitude about distributing his money. He says he wants to do it all himself when he is alive, joking about the desirability of having the “check to the undertaker” bounce. (See: Bloomberg’s Gifts to Charity Exceeded $165 Million in 2006, by Diane Cardwell, September 17, 2007) That means we can project a huge flow of money, much more than we have seen to date. Born February 14, 1942, Bloomberg is about to be 67 years old. Assuming that he lives to a ripe old age and “gives” away all his money over another 30 years (even without his current wealth increasing still further), that would mean, dividing equally over those years, distributions of $666 million each and every one of those future years! Bloomberg has disclosed political ambitions sufficient to keep him on the scene through a considerable portion of all his "philanthropic" years: running for governor or even a second run at the presidency. He wants to be mayor for another five of these future years. Five more years . . . unless he has another term limits extension surprise in store for us. Would that be unachievable? That endows . . . formidable power beyond his term, . .